One Pot Wondersis here to make your life easier with tasty, easy recipes that can all be cooked using just one main pan, dish or pot. 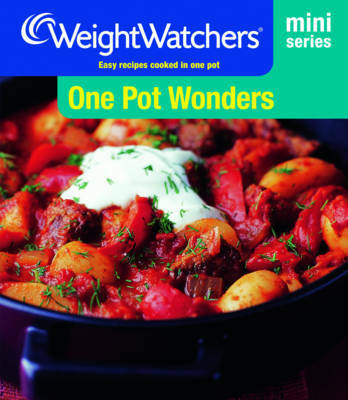 Packed full of recipes from the best of Weight Watchers cookbooks, these are not only delicious but they will help save on the washing up too! For midweek suppers, tempt your family and friends with Stir-fried Pork with Baby Corn, Goat's Cheese and Lentil Stuffed Peppers or Turkey Pilaff. If you have more time, try a one pot roast, like Rosemary Roast Chicken or Pot Roast Mustard Beef. There are even simple desserts, such as Slow Roasted Plums and Apple Bread Pudding.